Tonight was the last night of my small group study at NorthRidge. This is my third study with these ladies, and I have really grown to love our time and conversation together. 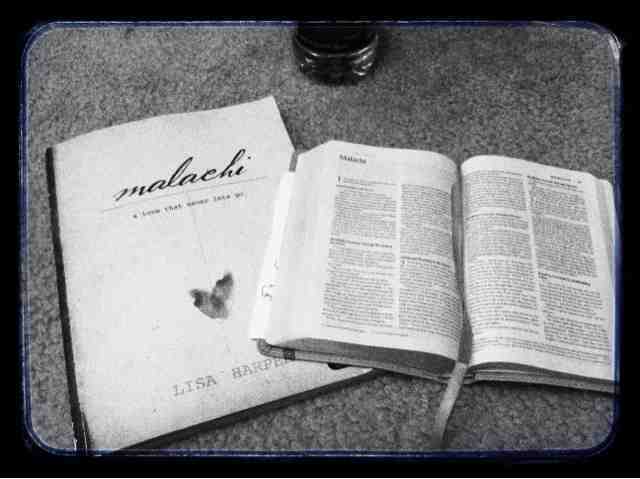 The study that we completed was on the book of Malachi, which is the final hoorah before the New Testament. The study, written by Lisa Harper, talks about how the Israelites are big complainers and question our perfect God’s every move. Pretty relatable, huh? The great part is, despite all of the many, many shortfalls of the Israelites, God loved them so much and would never give up on them. It is pretty cool and humbling to think that that God is the same God that we serve today! I am particularly looking forward to the next study that we will be starting in July. It is by Pricilla Schrier on Gideon, and I copied the promo video here. I have heard great things about Pricilla’s books, and I am really excited for it to start!